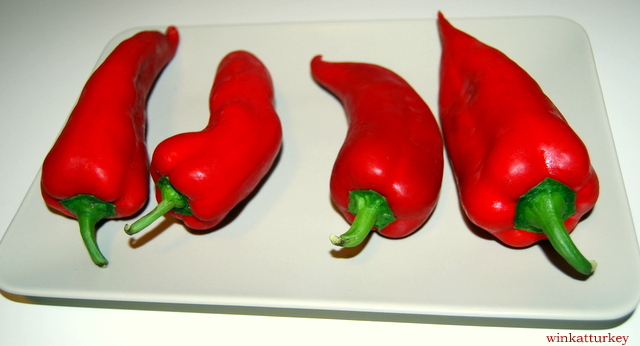 In Turkey, vegetables are essential in the diet, and red peppers are used almost daily. The prepared in many ways, one of which is filled with different types of cheese and spices. Great Good and best, facilísimos do. 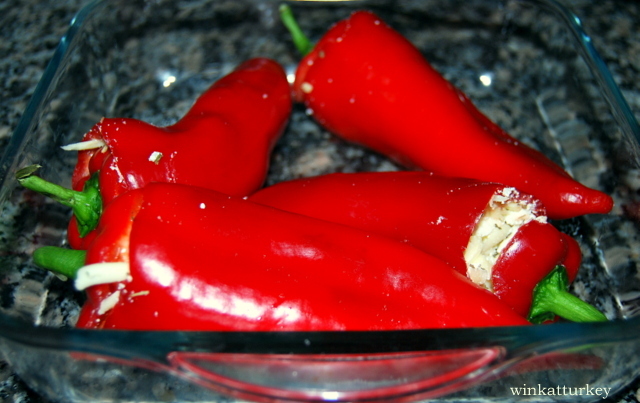 – 4 elongated red peppers. – 50 grams of mozzarella cheese. – Mint and basil, preferably fresh. 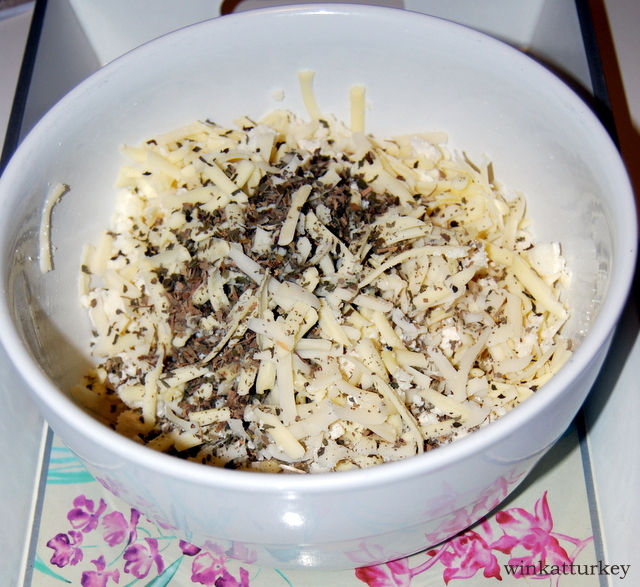 Crush with a fork fresh cheese in a wide vessel, add the goat cheese and also a little crush with a fork. 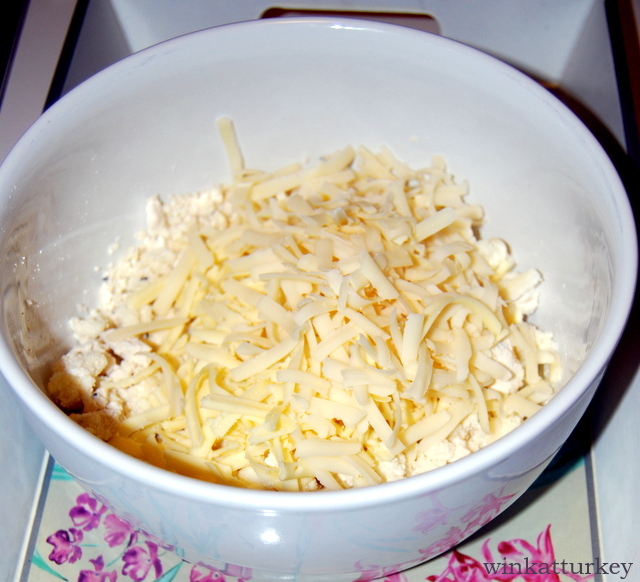 Now we add the soft cheese and grated mozzarella. Mix them all well. We take mint and basil, the amount we decide as we like spicy food. Mix everything well. We preheat oven to, about 5/10 minutes before adding the peppers. We removed the tail of the peppers and remove the seeds But you will keep it to cover once stuffed peppers. Let filling them one to one, pushing the cheese well until filled to the end. We put them in a baking dish and bake for we put 20 minutes at 180 º C.
We removed the dish from the oven, let cool a bit and ready to be tasted!